The layers of various kinds of shale and other sedimentary rocks that underlie much of the Appalachian Basin contain huge amounts of natural gas. 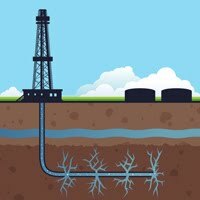 With rising energy prices and new technologies in the form of unconventional gas well drilling (hydraulic fracking), extracting those energy resources has finally become financially viable in recent years. The boom in unconventional gas drilling has moved forward rapidly in Pennsylvania, and now state government is beginning to catch up with new laws and regulations. If your company needs to stay on top of the latest in safety and regulatory compliance for unconventional gas wells, let CSEM put together a customized training session that will be highly interactive, somewhat unexpected and always engaging. CSEM is offers state-recognized, university-accredited Continuing Education Units (CEUs) for Marcellus Shale unconventional gas well training and education. In February 2012, following years of contentious debate between liberals and conservatives as well as environmentalists and industry groups, Act 13 was finally passed, consisting of a series of amendments to the 1984 Oil and Gas Act aimed specifically at dealing with the hydraulic “fracking” boom of recent years. Act 13 represents a mix of rules and regulations, some of which foster unconventional gas well drilling and others that place limits and restrictions on it.